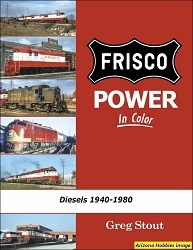 This book is a review of the equipment that the St. Louis-San Francisco (Frisco) and Missouri-Kansas-Texas (The Katy) typically operated during the period when color photography was available. One of the reasons to pair these two rivals in the same Volume was the historical connection with the jointly-operated passenger train, THE TEXAS SPECIAL. 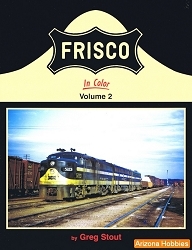 In this Volume emphasis has been placed on the equipment used on this prestigious Midwest to Southwestern passenger train. The purchase of freight car equipment reflected the traffic base of each company and their role in the greater nationwide transportation system. 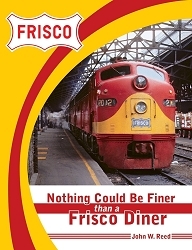 The Frisco consistently had more than twice the quantity of freight cars compared to the MKT which explains why the greater proportion of the book is dedicated to the Frisco. Non-Revenue Equipment and Cabooses, pp. 113-128.